Following Laura's appearance on the Michael McIntyre Big Show on BBC1 in the summer we went to see her at her shop and talked to her about how she got the opportunity, how they managed to get her there without her realising what was about to happen, and what happened on the day. We've put together a CD of 18 of Laura's favourite songs so you can enjoy her fabulous voice as you work and daydream of the big time in your shop. It's absolutely FREE. All you need to do is reply to this email and tell us that you'd like one and confirm your shop address for us to post it to. YES! 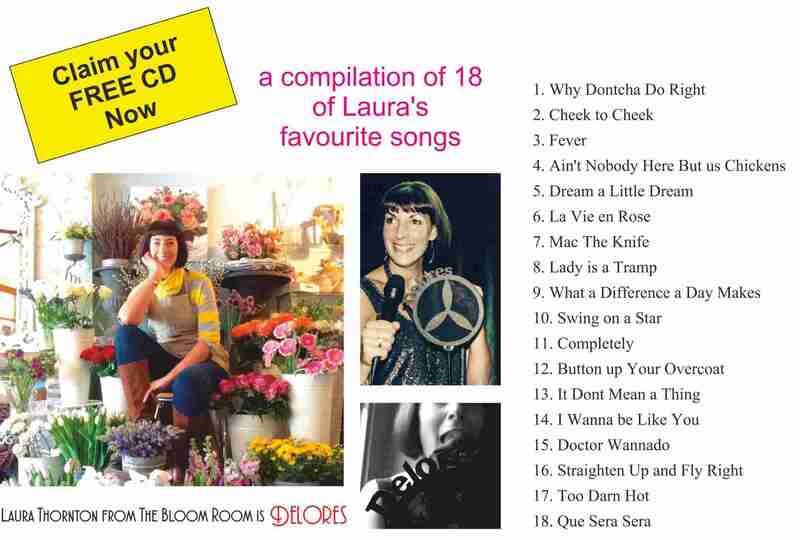 A complete album of 18 of Laura's favourite songs compiled onto a CD just for you. Completely FREE of charge. All you need to do is fill in the little form below with your details and we'll send it to you.